Programs target diverse populations and capture data on different facets of prescription drug abuse, misuse and diversion. Early signal detection, statistical analysis, identification of developing trends, and rate calculation adjusting for population and drug utilizationusing two distinct denominators. SAB members assist in providing meaningful conclusions and illustrate how those conclusions impact the landscape. Customized reports are completed for subscribers on a quarterly and annual basis; data may be reported as soon as four months after the end of a quarter. Data results are published in peer-reviewed journals and presented at scientific conferences. President, Pharmaceutical Diversion Education, Inc. Commander John J. Burke has been a law enforcement officer for over 49 years. He spent 32 years with the Cincinnati Police Department, the last nine years he formed and oversaw the department's Pharmaceutical Diversion Squad. He commanded the Greater Warren County Drug Task Force in Lebanon, Ohio, a HIDTA initiative that employs local, state, and federal agencies working toward the disrupting of high level drug trafficking, pharmaceutical diversion, and money laundering enterprises, for 16 years, retiring in October 2015. He became the commander of the Brown County Drug & Major Crimes Task Force in Georgetown, Ohio in April 2016, and retired in May 2017. Commander Burke is also the past national president of the National Association of Drug Diversion Investigators (NADDI) and is president and owner of Pharmaceutical Diversion Education Inc. He writes a monthly column on prescription drug abuse in Pharmacy Times magazine, and lectures nationally on the topics of pharmaceutical diversion to an audience that includes health professionals, law enforcement, health regulators, and others. In 2015 he became the co-founder and President of the International Health Facility Diversion Association (IHFDA), www.ihfda.org a non-profit, 501C-3 organization dedicated toward the problems surrounding drug diversion within healthcare facilities. Dr. Theodore J. Cicero received his PhD in Neuropharmacology from Purdue University in 1969 and began his career at Washington University in St. Louis, School of Medicine in 1968 as a post-doctoral fellow where he rose to Professor of Psychiatry, Anatomy and Neurobiology in 1978. Cicero serves as Vice Chairman for Research in the department of Psychiatry and was appointed Vice Chancellor for Research for Washington University in 1996, serving until 2006. 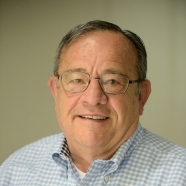 Dr. Cicero is a life fellow of the American College of Neuropsychopharmacology, past president and Treasurer of the College on Problems of Drug Dependence (CPDD). He was also recently awarded the Nathan B. Eddy Award from CPDD for lifetime achievement in substance abuse research. As of July 1, 2015, he received an endowed chair as the John P. Feighner Professor of Psychiatry at Washington University in St. Louis. Much of his work has focused on neurobiological substrates of dependence and abuse of drugs (opiates and alcohol) in animal models. More recently, over the past 15 years, his focus has been on the epidemiology of opiate abuse, beginning with the emergence of the prescription drug problem in the 1990’s to the recent transition of heroin abuse from an inner city problem in poor, minority males to an epidemic in white, middle class male and female residents of suburban and rural locations. In addition to his university and other scientific positions, Cicero has also served on the Board of Scientific Counselors of the National Institute for Drug Abuse and was an expert advisor to the World Health Organization Substance Abuse Advisory Group. He is also a past chairperson of the Food and Drug Administration Drug Abuse Advisory panel (1985 – 1993). Richard C. Dart, MD, PhD, is the Director of the Rocky Mountain Poison & Drug Center, Denver Health and Hospital Authority. He is the Executive Director of Researched Abuse, Diversion, and Addiction- Related Surveillance (RADARS®) System. He is also Professor of Emergency Medicine at the University of Colorado School of Medicine. He is past-president of the American Association of Poison Control Centers (AAPCC) and is Fellow of the American Academy of Clinical Toxicology (FAACT), American College of Medical Toxicology (FACMT) and the American College of Emergency Physicians (FACEP). Raised in Michigan, Dr. Dart earned his bachelor’s degree in biology at Albion College and his medical degree at Wayne State University in Detroit, Michigan. He completed residency training in emergency medicine at the University of Arizona and then completed a fellowship in Medical Toxicology as well as a doctorate of Pharmacology and Toxicology at the University of Arizona. He is board certified by the American Board of Medical Toxicology. 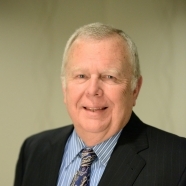 Dr. Dart has earned numerous awards for his teaching, research and leadership endeavors. He was selected as an inaugural member of the Medical Toxicology Subboard of the American Board of Emergency Medicine. In 2002 he was recognized with a special citation from the Commissioner of the U.S. Food and Drug Administration for his work on snake antivenom. He was the 2004 recipient of the American College of Medical Toxicology Matthew J. Ellenhorn Award for Excellence in Medical Toxicology. He is the 2017 recipient of the AACT Career Achievement Award. His research interests include the postmarketing surveillance of opioid analgesics, development of orphan antidotes (antivenoms, metal chelators and others), the stocking of antidotes, various aspects of OTC analgesic toxicity and their treatments, and adverse drug event reporting. 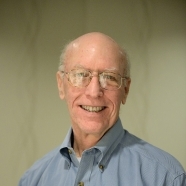 In 2000, Dr. Dart edited the first edition of The 5-Minute Toxicology Consult and is the editor of Medical Toxicology 3rd edition, a well-known text for toxicologists. He has published more than 250 scientific publications and is frequently invited to lecture to health care and regulatory audiences. He is also a Deputy Editor of the medical journal Annals of Emergency Medicine. Dr. Dasgupta is a quantitative epidemiologist studying the medical and nonmedical use of prescription opioids and heroin. 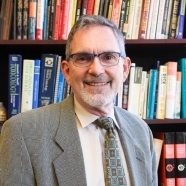 He has worked with and consults for diverse groups in public health involved in reducing the adverse consequences of opioid use (e.g., clinical practices, nonprofit organizations, state and local health departments, and the pharmaceutical industry). He is a Senior Scientist at the RADARS System® and on the research faculty at the University of North Carolina in Chapel Hill. 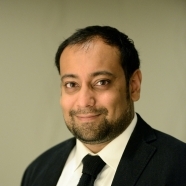 Dr. Dasgupta began working for the RADARS® System in 2002 as a field investigator, serves on the Scientific Advisory Board (SAB), and is the Principal Investigator for the StreetRx program, an internet crowdsourcing site for black market prices for controlled substances. Dr. Dasgupta's areas of academic research are in pharmacoepidemiology, opioid overdose, and injection drug use. At the University of North Carolina in Chapel Hill, he has academic appointments at the Eshelman School of Pharmacy and the Injury Prevention Research Center. He is involved in designing and evaluating interventions for reducing prescription opioid overdose. He is the co-founder of Project Lazarus (www.projectlazarus.org), a community-based pain management and overdose prevention nonprofit organization in North Carolina. He is also experienced in public health informatics, having co-founded Epidemico in 2007, a successful tech startup, that he left in 2016. Dr. Dasgupta holds degrees from Princeton University (molecular biology), Yale School of Public Health (epidemiology of microbial diseases), and the University of North Carolina at Chapel Hill (epidemiology). Dr. Steven Kurtz was awarded his PhD in Sociology by Florida International University in 1999. He is Professor and Director of the Center for Applied Research on Substance Use and Health Disparities (ARSH) at Nova Southeastern University. The center’s mission is the production, dissemination, and utilization of scientific knowledge in the areas of substance abuse, health risk behaviors, and health disparities among vulnerable populations. Areas of special interest include the etiology, patterns and consequences, and prevention and treatment of drug and alcohol abuse; the epidemiology and prevention of HIV/AIDS and other sexually transmitted infections, and the development and testing of new approaches to intervention. Dr. Kurtz’s research is focused on illicit and prescription drug abuse, drug diversion, HIV risk behaviors, and related health and social problems among not-in-treatment populations. His most recent work is examining self-awareness, empowerment and resilience as focal points for intervention among such populations. Dr. Kurtz is Principal Investigator for the Drug Diversion Program of the RADARS System prescription drug abuse and diversion surveillance system. He has served as PI on six NIDA-funded multi-year research projects, and recently completed a successful randomized clinical trial testing the efficacy of innovative, low threshold substance use interventions for young adult polydrug users. Dr. Kurtz has served as an appointed member of the Behavioral and Social Science Approaches to Preventing HIV/AIDS (BSPH) study section at the National Institutes of Health, and continues to participate in a wide range of NIH and Department of Defense grant review panels. He is an alternate member representing the South Florida Sentinel Site of NIDA’s National Drug Early Warning System. Mr. Parrino has been involved in the delivery of health care and substance abuse treatment since 1974. He received both a Baccalaureate in Psychology (1974) and a Masters in Health Policy, Planning and Administration (1982) from New York University. Mr. Parrino served as the Director of the Gramercy Park Medical Group, an outpatient methadone treatment program, from 1980 to 1994. He also served as President of the National Development and Research Institutes, Inc. (NDRI) and was the Chair of New York City's Health Systems Agency's Technical Advisory Group on Substance Abuse. Mr. Parrino served as the Chair of the Center for Substance Abuse Treatment (CSAT) Consensus Panel for State Methadone Treatment Guidelines, the first Treatment Improvement Protocol (TIP) published for national distribution. Currently, Mr. Parrino is the President of the American Association for the Treatment of Opioid Dependence (AATOD) and continues to be responsible for the development and implementation of the Association's organizing initiatives. He also serves as the Vice President of the World Federation for the Treatment of Opioid Dependence (WFTOD). He is a consultant and educator to government, community and business groups concerning substance abuse treatment and policy. Mr. Parrino is a recipient of the Robert Wood Johnson Foundation Innovators Award for 2003. 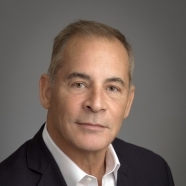 Vice President, Pharmaceutical Risk Management Services, PinneyAssociates, Inc.
Dr. Schnoll is an internationally recognized expert in addiction and pain management who has applied his extensive experience in academic medicine to the issues of risk management. He played an active role in developing the Independent Steering Committee (ISC) for tramadol, which resulted in Ultram® being launched as an unscheduled analgesic. As part of the ISC, he was the principal investigator on the health care professional surveillance project. In 2001, Sid joined Purdue Pharma L.P. where he developed the RADARS System to study the abuse and diversion of prescription opioids. After leaving Purdue, he became Vice President for Pharmaceutical Risk Management at PinneyAssociates, Inc.
Sid attended Union College, and the New Jersey College of Medicine and Dentistry where he received his M.D. degree. He did his internship, residency in Neurology and Ph.D. in Pharmacology at Jefferson Medical College. He was the Career Teacher in Addictions at the University of Pennsylvania, following which he was Medical Director at the Eagleville Hospital and Rehabilitation Center, which is noted for many innovations in the treatment of addictive diseases. In 1980, he became Associate Professor of Psychiatry and Pharmacology and Director of Chemical Dependence programs at Northwestern University Medical School. In 1986, he became Professor of Internal Medicine, Pharmacology and Toxicology, Psychology and Psychiatry at the Medical College of Virginia, and Chairman of the Division of Substance Abuse Medicine. 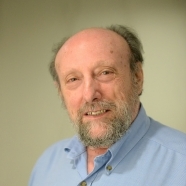 Sid has served on numerous committees and boards including the Food and Drug Administration’s Drug Abuse Advisory Committee, NIH study sections, National Board of Medical Examiners test development committees past president of the Association for Multi-disciplinary Education and Research in Substance Abuse (AMERSA), and was a board member of the College on Problems of Drug Dependence (CPDD). He is an advisory board member of the International Doctors for Healthier Drug Policies. He has received numerous awards including listings in The Best Doctors in America and is a Fellow of CPDD and the American Society of Addiction Medicine. George Woody graduated from Amherst College in (1960), received his M.D. from Temple (1964), interned at Bryn Mawr Hospital (1964-1965), was a general medical officer in the Navy (1965-1967), and was a resident in Psychiatry at Temple University Hospital (1967-1970). He worked at a community mental health center in Philadelphia (1970-1972), and in 1971 began work at the University of Pennsylvania and the Philadelphia Veterans Affairs Medical Center‘s (VAMC) Drug Dependence Treatment Unit, where he treated several thousand patients with substance use disorders over approximately 30 years. His research began in collaboration with Dr. Charles O’Brien and others at the VAMC and the University of Pennsylvania. He has a long-standing interest in international work and in 1996 began collaboration with researchers in Porto Alegre, Brazil, studying the spread of HIV among cocaine users. His international work expanded in 1998 to studies with Drs. Zvartau and Krupitsky at Pavlov State Medical University and the Leningrad Regional Addiction Treatment and Research Center in St. Petersburg, Russia, evaluating the treatment of opioid addiction with naltrexone and the spread of HIV. This work demonstrated the effectiveness of oral naltrexone and provided a background for the study that led to FDA approval of extended-release injectable naltrexone (XR-NTX). 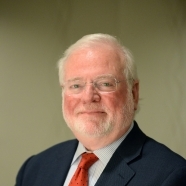 He served as Principal Investigator of the Delaware Valley Node of the NIDA Clinical Trials Network (CTN) (1999 – 8/2015); received a Senior Scientist award from NIDA in 2003, renewed through 2013; was Lead Investigator of a CTN study evaluating the outcome of buprenorphine-naloxone treatment for opioid-addicted youth published in JAMA (2008); mentored five international investigators on CTN fellowship awards; studied methadone and Suboxone for buprenorphine injectors in Tbilisi, Republic of Georgia; methadone maintenance for HIV+/- patients in Kiev, Ukraine; factors associated with adherence to HIV treatment in Philadelphia and St. Petersburg, Russia; XR-NTX treatment of amphetamine addiction in Reykjavik, Iceland; and is currently Principal Investigator on a study of XR-NTX for opioid addicted prisoners in Philadelphia. His interests are in the efficacy of psychosocial and pharmacological treatments for addiction; relationship between drugs of abuse, psychiatric symptoms, and treatment outcomes; and risk factors for HIV infection among drug users. He reviews papers for many journals, has authored or co-authored over 300 publications, and was a member of the DSM-IV Work Group on Substance Use Disorders and FDA’s Drug Abuse Advisory Committee. He Co-Edited SAMHSA’s Treatment Improvement Protocol on methadone maintenance, and is a founding member of the Board of Addiction Psychiatry of the American Psychiatric Association. He has been on the Board of Directors of the College on Problems of Drug Dependence, is a Life Fellow of the American Psychiatric Association, and a member of the American College of Neuropsychopharmacology. He has lectured nationally and internationally and was awarded a Doctor Sui Causa from Pavlov State Medical University (2003); the McGovern Award by the Association for Medical Education and Research in Substance Abuse; with Dr. Zvartau a NIDA award for international research; and with Drs. Zvartau, Krupitsky, Lioznov and Samet, the 2016 Prix Galen Award for contributions to treatment and HIV prevention among underserved populations in Russia.